Rhys Williams is a lecturer in the Bachelor of Landscape Architecture program at the University of Technology, Sydney, and a contributing editor to Landscape Architecture Australia. Rhys Williams reviews the 2017 Landscape Australia Conference, unpacking a subtext that pervaded the day which spoke to the realities of practising in a world where scientific fact, moral standards and due process seemingly carry little weight. 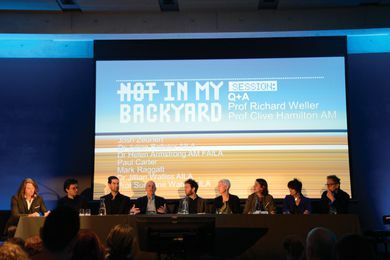 Rhys Williams reviews the 2016 AILA International Festival of Landscape Architecture: Not in my Backyard.